Disclosure: I have partnered with Life of Dad and STOUFFER’S® for this promotion. I have received compensation and product for my participation, but my opinions and my voracious appetites are my own. I've been trying to be better about working out and eating in a more healthy way. Honest, I have. But as many of you know, it's difficult. Especially because. • I have a voracious appetite. • I used to be active, but have been sedentary for the last couple of years. A couple of weeks ago I joined my local gym, primarily because I can walk there and they have a pool. I'm a big fan of swimming, and so are my busted-out basketball knees. And especially with the summer coming on here in Chicago, I think it will be a good activity to do every morning. I'd been threatening to join the gym for a while, but somehow never quite got there to do it. I managed to go, sign up for the full year, and now I'm good to go. All I have to do is attend! I've gone 8 out of the last 14 days, which is pretty good. Mostly swimming, but a little running too. (And by running, I mean walking on the treadmill/elliptical at a moderate pace - I'm in the 3.8/3.9 mph territory in the gym). Back when I was in my 30's, I'd swim a mile in about 41 minutes. And I'd regularly go 5-6 mph on the treadmill. And now, I'm swimming a little over half a mile in 30 minutes. Hey, you have to start somewhere. In terms of eating, I've been trying to cook more and eat out less. It doesn't always work out because I run out of time and energy. Especially for lunch or after a workout. And let's face it, a dad can not live by kale alone. For the last couple of days I've been coming home from the gym very hungry, and just haven't had the energy to cook. 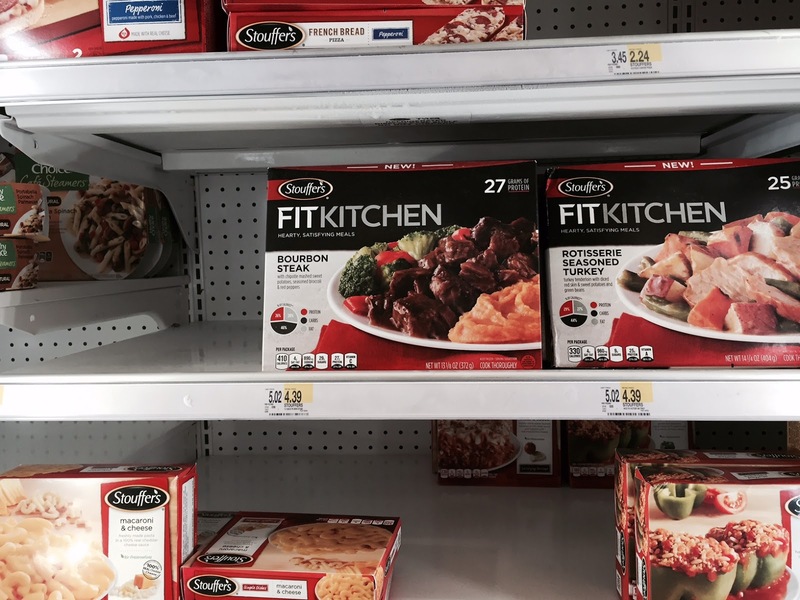 And this is where Stouffer's ® Fit Kitchen has been a great help in satisfying my hunger. They've got six varieties available, and they all sounded pretty good. STEAK FAJITA in smoked red chile sauce with a mix of red & green peppers and seasoned brown rice. CILANTRO LIME CHICKEN white meat chicken with a black bean & corn mix, seasoned brown rice, and a verde tomatillo sauce. ROTISSERIE SEASONED TURKEY with a mix of diced red skin sweet potatoes & green beans. MONTEREY CHICKEN with diced red skin & sweet potatoes, lightly buttered green beans with BBQ style sauce. BOURBON STEAK with chipotle mashed sweet potatoes, seasoned broccoli & red peppers. OVEN ROASTED CHICKEN with diced red skin potatoes, seasoned broccoli and a savory wine sauce. I tried both the Bourbon Steak and the Rotisserie Turkey. 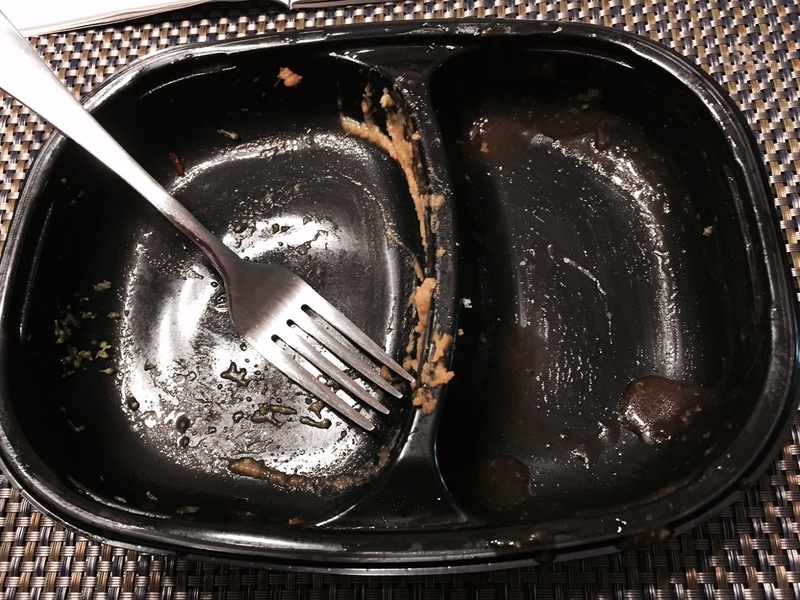 Seriously, they were the best frozen meals I've ever had! The before picture. Looks good! 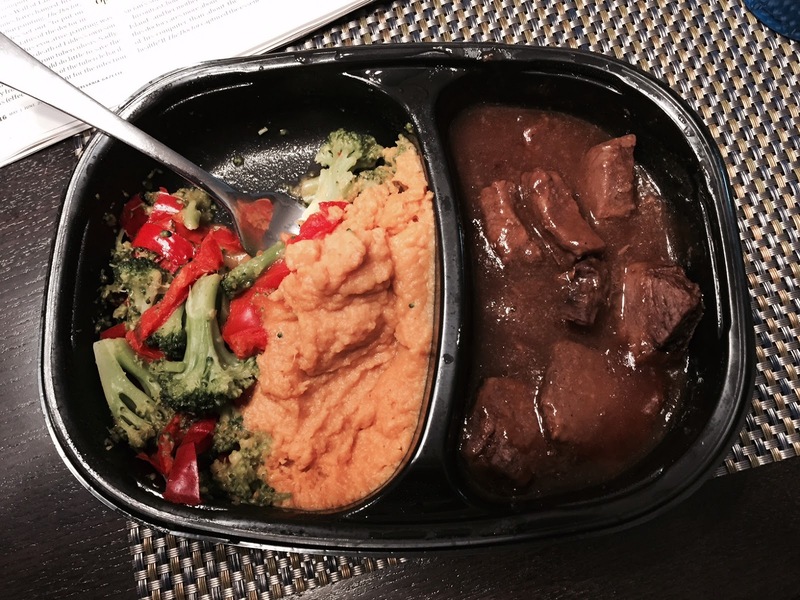 The meals are easy to prepare. 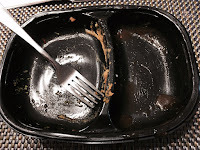 You open the box, tear off a corner for venting (with the bourbon steak they recommended opening up the cover over the broccoli) and cook for 6 minutes. You open it, you stir the vegetables up a little, you cover it and cook it for 1 more minute. Let it stand one more minute and then enjoy. Pretty easy. The food was plentiful and tasted fresh. The meat was in nice juicy chunks, and clearly pretty high quality stuff. The vegetables were good and not soggy and didn't have that "frozen" flavor. With both I finished the plate and was pretty full (although I will admit that I used a piece of bread to sop up the delicious Bourbon Steak's gravy. I couldn't let all that deliciousness go to waste, right?) I really feel like Stouffers ® Fit Kitchen did a great job of making these meals delicious. 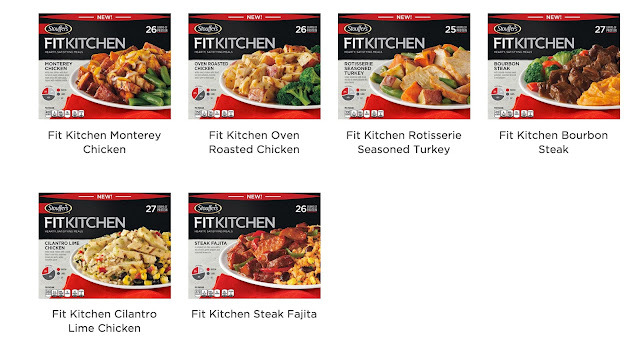 These meals are great for after a workout, or when you need to make something quick and satisfying. 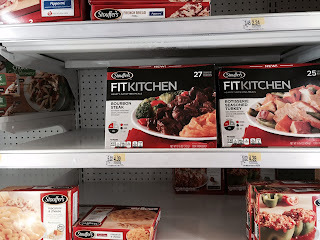 I heartily recommend checking them out; you can find STOUFFER’S® Fit Kitchen in the frozen aisle at your local Walmart, Target or grocery store; visit www.stouffers.com to find a store near you.